In addition to being beautifully handcrafted, Palmer Rustic Furniture offers live edge tables and other pieces to show off the owner’s taste. They demonstrate that he or she truly appreciates art and nature. As beautiful and unique as the trees produced from, live edge wood refers to the natural edge of the wood under the bark after it is cut. Live edge wood keeps the original lines of the trunk along its edges, portraying the wood in its very naturalistic and raw state. Live edge wood first became popular in the 1940’s by George Nakashima and has grown to be used for nearly any piece of furniture or home touch, from live edge tables, bar tops, benches, headboards, shelving and more. 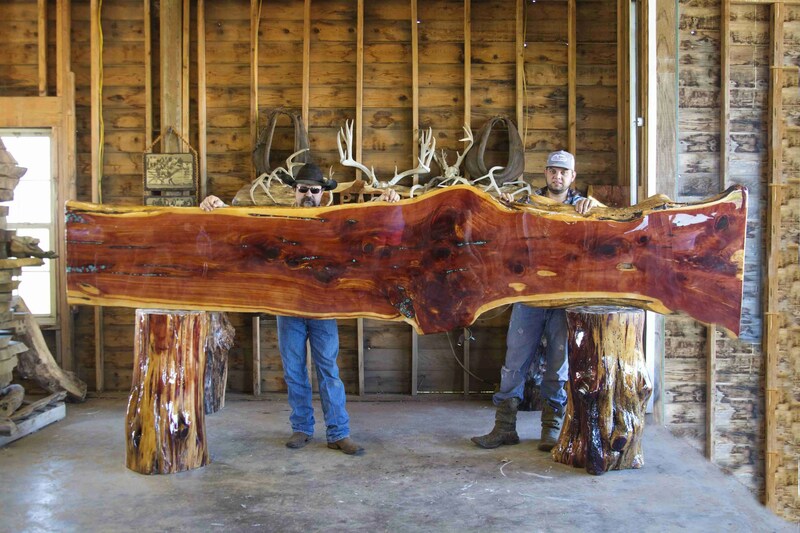 At Palmer Rustic Furniture, we specialize in making live edge furniture pieces to compliment any decor. Furniture accessories make excellent decor, adding a seamlessly classic touch to even the most modern settings. Our live edge table and furniture comes in a wide variety of wood species. You choose crosscut or horizontal cut and then it can be sealed in a glossy or matte finish. The classic and modern styles often are a perfect fit to give your bedroom, dining or living room a cozy feel. Our style stands out, and it can also complement many existing styles, demonstrating its robust character. 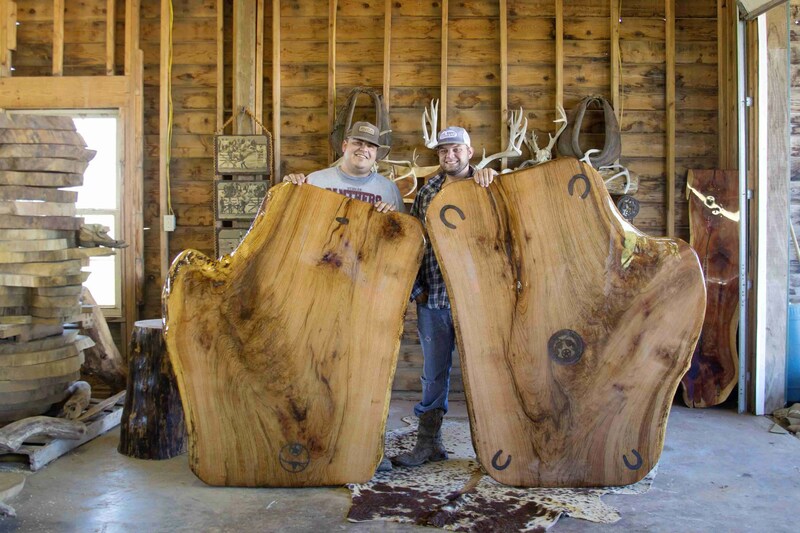 If you are looking for an all-in-one and well-rounded furniture store, stop by and visit Palmer Rustic Furniture in Stigler, OK. We have a wide variety of live edge slab furniture and tables for you to choose from.